Pikes Peak is the highest summit of the southern Front Range of the Rocky Mountains, in North America. 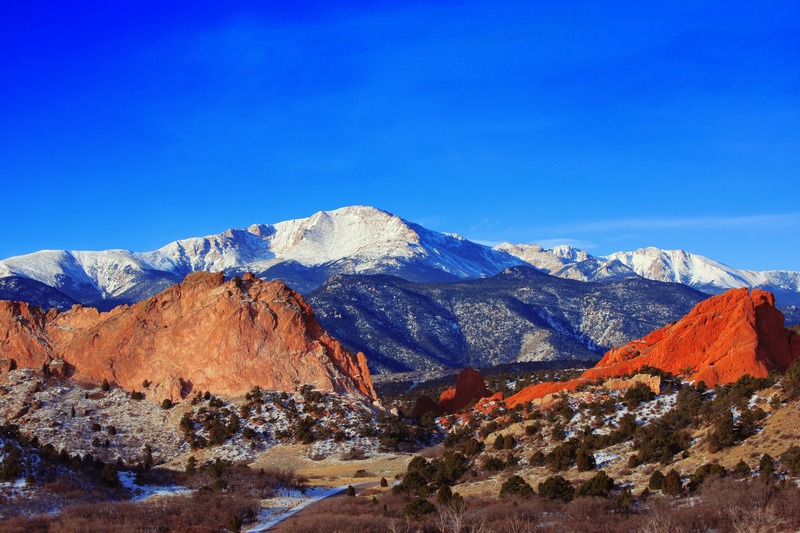 The ultra-prominent 14,115-foot (4,302.31 m) fourteener is located in Pike National Forest, 12.0 miles (19.3 km) west by south (bearing 263°) of downtown Colorado Springs, Colorado. The mountain is named in honor of American explorer Zebulon Pike, who was unable to reach the summit. The summit is higher than any point in the United States east of its longitude.